It’s not often an old stalwart candy brand comes out with a new product twist that actually sticks. There’s been tons of janky Jolly Rancher weird lollypop/candy shell iterations, more versions of filled Twizzlers than I care to admit, and of course Bite sized/fun sized/sharing size versions of every chocolate Halloween candy in existence. But no one cares, right? Hmm. 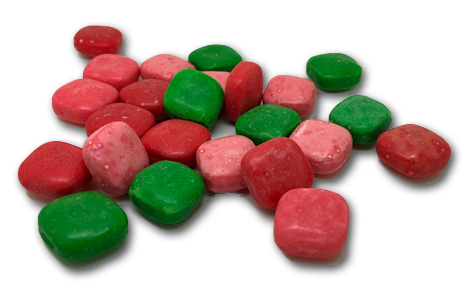 Candy coated sour chewy bites. Ordinarily I likely would have walked by these, if it hadn’t been for that user on the candy subreddit (yes, we’re there and HAVE OUR PULSE ON THE NATION YO) that said these were the best candy they’d ever had. So of course…I bought. Watermelon, Cherry and Green Apple. Sure. Here comes the part when I tell you how mediocre these are, right? Not so, Paduan. These are actually interesting. But I still have to gripe-the candy “shell” is not even close to a shell. 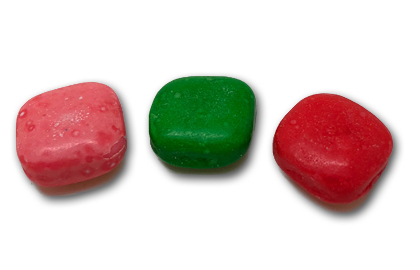 There’s no crack, no….feeling of body to the “candy”. In fact…it truly feels like there isn’t a coating at all. That’s my only complaint though, it would be kinda nice to have a thicker coating to provide some crunch among the chew of the insides. But aside from that, I really like these. My kid doesn’t think they’re sour, and but I like to think I know what I’m talking about in this area, and I say they’re nicely tart at the very least, bordering on good sour levels. The flavors are exactly as you remember, so there’s no surprise there, but…they’re damn tasty. Smaller (I think) than a normal Now and Later, and not sticky at all (that’s a nice byproduct of the “shell”), they’re perfect for mixing it up in a candy bowl with other things. I have all the candy in the world in my house. Almost literally. And my candy bowl is loaded with my favorites. After opening these, I deemed them worthy of joining the party. 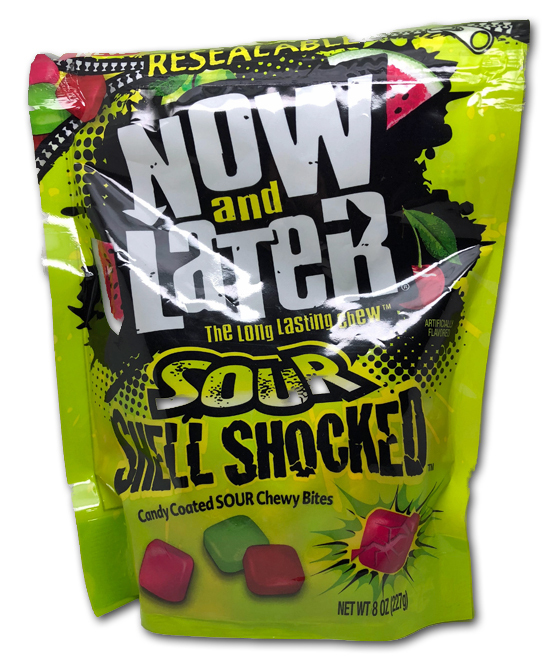 Most candies I review go to the kid, or get taken to work-it’s only the really good or really unique stuff I keep. That was a lie. I keep a lot of stuff. But STILL, the point of what I’m saying is that these are good, and they’re easy to get, and damn it, you need to check them out. Big ups to Now and Late for proving the skeptic in me wrong. Is a Paduan the step after Padawan, where one must go to Italy and study La Forza? I really wanna get my hands on these. I got the non-sour version today- same flavors, but with an added banana one- and it’s pretty dang good. I can only imagine how much better the sour ones are. I suspect you’re gonna love them.